← Can Odonil Liberate you ? 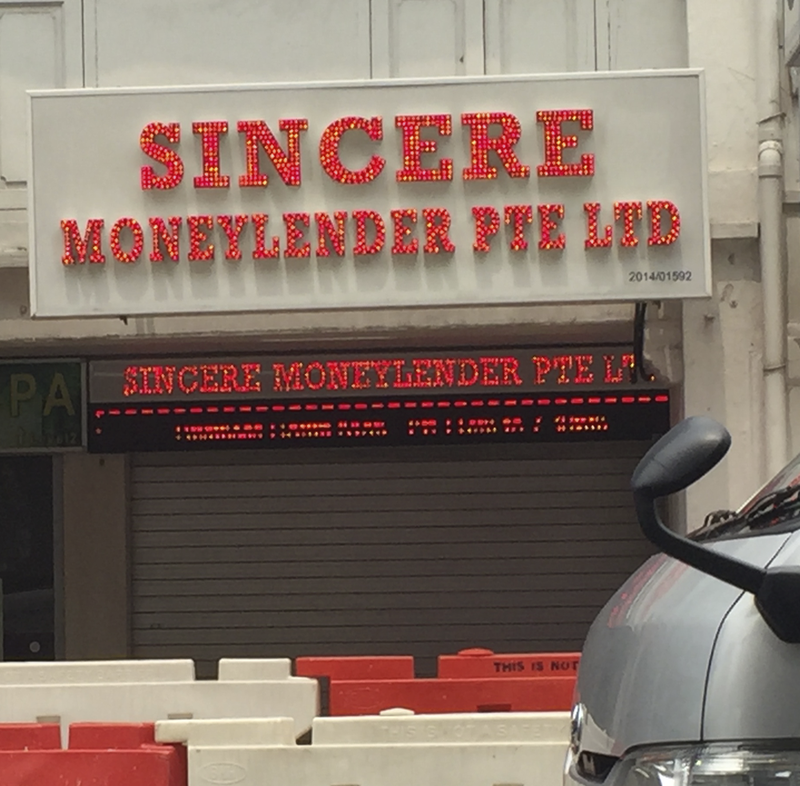 I was recently passing by this shop in Singapore, I could not but smile at the thought process that went into naming this money lending venture as ‘Sincere Money Lender Pte Ltd’ ! I seemed to have learnt the first value and refrained all my life from making any personal borrowings but could never resist helping near & dear whenever I was sought out for financial help. Over the years, I had varied experiences from these transactions, suffice it to say that I have been enriched spiritually even though not financially. Never lend without twice the amount of security if its to a third party referred to by some one near & dear to you. Well intentioned he maybe, your referrer friend invariably overestimates the intention and the ability of the third party. You will have one friend less as a result of this transaction if you did not take the security. If you have to lend to some one near and dear, then only lend what you can afford to lose,( biblical advice) mentally do not treat it as commercial transaction even though you may position as such to him. Your friend will underestimate his current circumstance and overestimate your feelings for him. If you treated it as a commercial transaction, again you will have one friend less. By not treating it as a commercial transaction, you will at least have the satisfaction of having helped a friend in need. So between Shakespeare and the Bible, you can learn to be a ‘Sincere & Wise Money Lender” !